FUN Enjoy many exciting hours of backyard family fun with JGK's playground swing set seat, enjoyable for kids and adults. A comfortable swing seat is a vital part of your outdoor swingset accessories. 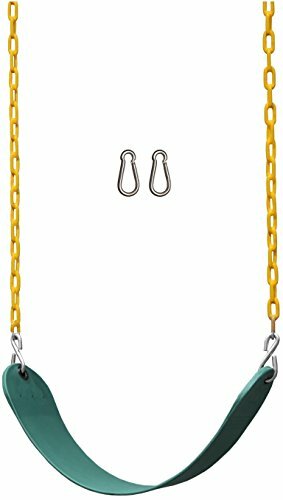 It can be used as a tree swings seat or by easy connection fo Jungle Gym Kingdom swing hangers. WEIGHTYour flexible playset seat will conform to most anyone and hold up to the 300 pound weight limit. 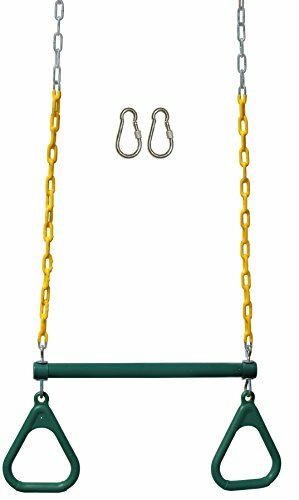 PINCHING Don't forget the plastic coated chains protect little fingers from pinchingUSE Goes well with Jungle Gym Kingdom 18" trapeze bar with rings, baby / toddler bucket swings, disc rope swings and other swing set stuff. 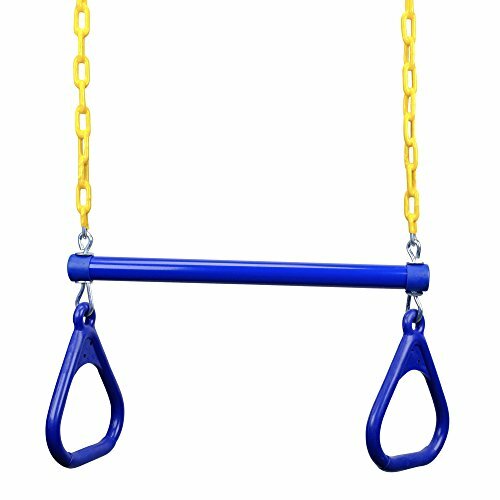 This is the perfect soft swing for those rock climbing kids to hold on to, so let them sit back and enjoy the comfort that their new swing will bring to their smiling faces. Enjoy! FUN Enjoy many exciting hours of backyard family fun with JGK's playground swing set seats now in a 2 pack, enjoyable for kids and adults. A comfortable swing seats is a vital part of your outdoor swingset accessories. It can be used as a tree swings seat or by easy connection fo Jungle Gym Kingdom swing hangers. WEIGHTYour flexible playset seats will conform to most anyone and hold up to the 300 pound weight limit. 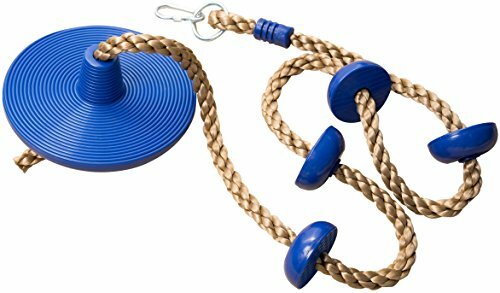 PINCHING Don't forget the plastic coated chains protect little fingers from pinchingUSE Goes well with Jungle Gym Kingdom 18" trapeze bar with rings, baby / toddler bucket swings, disc rope swings and other swing set stuff. This is the perfect soft swing for those rock climbing kids to hold on to, so let them sit back and enjoy the comfort that their new swing will bring to their smiling faces. Enjoy! Jungle George Swings Heavy Duty Residential Trapeze - making smiles one swing at a time! 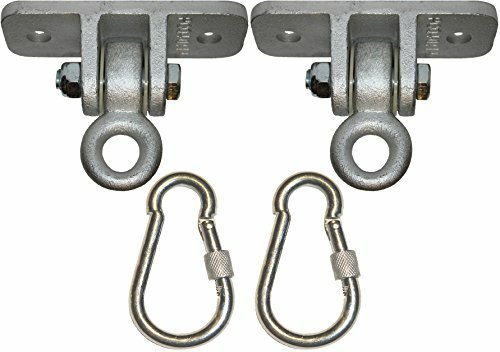 SECURE S-LINKS - Fastening the chain to the Trapeze Swing are Stainless Steel S-Links. They will not snag onto loose clothing or scratch the skin. Super secure, the S-Links lock in place. UPGRADED THICKER CHAIN - From the first touch you will feel the durable Plastisol Coating that wraps around the upgraded chain with thicker loops. This provides comfort in your child's hands and also safety since it will not rust. 20% Thicker than other brands! REINFORCED HANDLES - Our trapeze swings use metal inserts at the joints to ensure safety. Compare the Jungle George Swings difference. 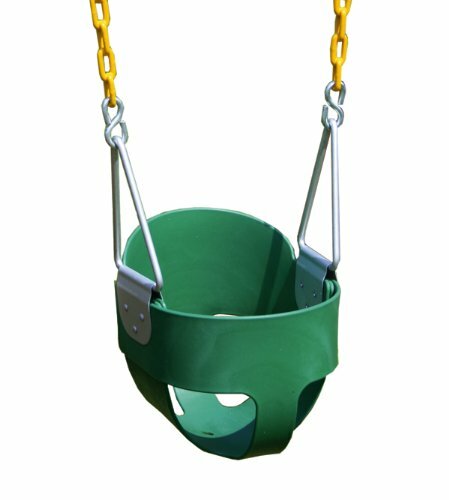 300 POUND CAPACITY - Safety and Quality are at the forefront of Jungle George Swings products. 1 Year Warranty. Eastern Jungle Gym’s heavy-duty swing seat is the perfect accessory for any backyard swing set! Use it as a replacement swing or to add another swinging position to your existing play set. 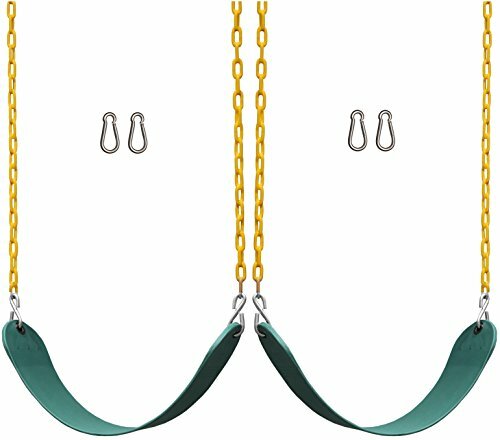 This swing seat comes fully assembled with 66” of zinc-coated, 2/0 straight-coil swing chains that are adjustable up to 30”. 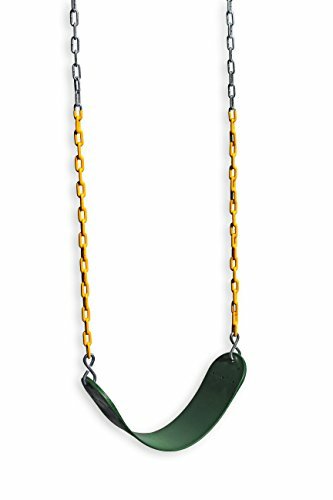 The bottom 30” of the swing chains are coated in yellow plastisol to allow for a soft, pinch-free grip that is comfortable for even the most delicate little fingers! Constructed with heavy-duty, rust-resistant materials this swing seat is extremely durable and made to last. Designed for residential use, this swing is designed for children but is strong enough for adults to use as well! Looking for more Gym Swing similar ideas? 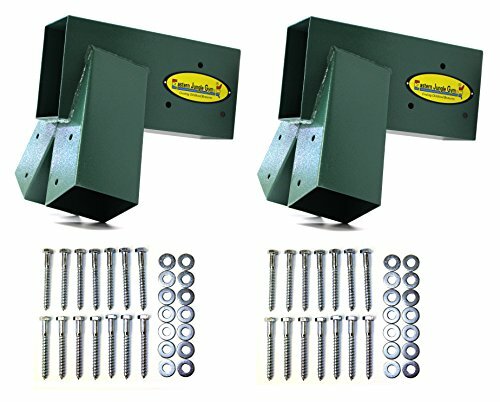 Try to explore these searches: Winch Bumper Ford, Resin Body Charm, and Stainless Steel Everyday Pan. Look at latest related video about Gym Swing. Shopwizion.com is the smartest way for online shopping: compare prices of leading online shops for best deals around the web. Don't miss TOP Gym Swing deals, updated daily.